At Dial A Bin UK, whether we’re offering Banbury skip hire or Milton Keynes waste removal, we are committed toward minimising the environmental impact of waste disposal through compliance with local waste management legislation. This commitment is the cornerstone of what we do,and is reflected in the waste removal and commercial recycling services we provide to our customers. That’s why we invest considerable time and effort in working with the leading regulatory bodies. We also ensure that all our employees undergo extensive training on waste disposal regulatory requirements and company procedure to help them make the right judgements on environmental matters. Everyone involved in the process of controlled waste removal must adhere to the Duty of Care waste regulations in accordance with the Environmental Protection Act 1990. This includes the person or organisation producing the waste, and the person or organisation removing and/or disposing of it. Dial A Bin UK is an environmentally responsible organisation, and as such is committed to pollution prevention and legislative compliance. We take special care to ensure that all our waste collection and removals teams adhere strictly to the Duty of Care obligations. Once collected, all waste is stored safely and transported to our waste transfer station in Brackley with utmost care. The waste regulations also state that those in possession of waste must also ensure the waste is properly stored, and is not allowed to escape or spread. This may occur through wear and tear of containers, spills or leaks, waste blowing away in the wind, or theft by vandals or animals. 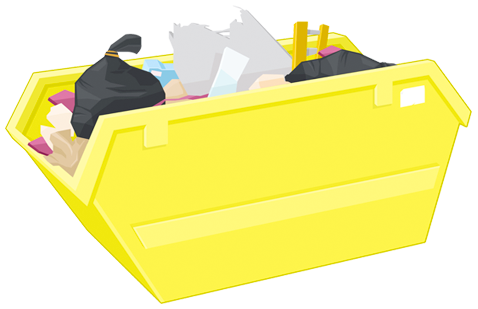 Hiring one of Dial A Bin’s waste containers, wheelie bin or skips may help prevent this and will assist businesses and home owners in managing their waste effectively.